Of consumers 18 and older, 85 million of them visited an app on their Smartphone related to retail sales during the month of July 2012. Another very telling statistic regarding holiday season sales and the way they are drifting to mobile applications is a day after Christmas statistic from last year. 11.3% of ALL sales came from mobile devices on that date last year. To really envision the power of that you must not think it is a “mere” one tenth of what is happening revenue-wise; but pay attention that just by having the virtual doors open, these stores generated traffic. When a buyer is rotating through a purchase cycle that compels and steers them, comparing and reviewing different objects for sale is one of the most important attributes for the vendor. So if someone who is very tech savvy has something in the palm of their hand that they can make a final purchasing decision on, and it can connect even while they are sitting in the park, it’s something big in terms of modern delivery in marketing. There are some obvious and not so obvious ways having a mobile app for your business can generate foot traffic as well to your retail door, where you want them. If you are not only developing a mobile app but partner with companies that use tracking for their ads, a consumer can be browsing on their smartphone and be reminded that you may be slashing prices for Father’s Day, or just because you feel like it. Without smartphone apps, the customer only sees these teasers when they are sitting at home. When the customer is engaged while they are on the go, you can trigger buying impulses with sales and the fact that they are simply in your neighborhood already. This is actually very revolutionary and exciting; in the 1980s when companies would have killed to be stealth high tech but weren’t quite there, engaging customers with ads on hand held devices would have had the shrewdest marketing icon jumping with glee. Of course these traffic and ad generators will charge your company money, but if you have designed or mass produced something of real value, you are going to join the ranks of the very satisfied if you coordinate your plan with diligence. When browsing for products they are interested in, looking at reviews is another high ranked benefit for having your business go mobile. In the beginning, there were some websites that did work for browsing and purchasing that were not “apps”, and there still are a few. The text was smaller and the calls to action may not have been as obvious, but you could at least scroll through the inventory and see what appealed to you. Once an app is designed that really meshes with the type of thing you want to sell, the buttons are attractive, and the application moves faster because it’s optimized for smartphones instead of a regular URL. Its true these days that just having a store locator will stoke the memory of the customer and their desire to explore the city, and let’s face it, people don’t rig up their laptops for use in their car much anymore. The smartphone draw has appealed to millions, and when you streamline and perfect an app, as long as your customer service sector is up to par, you will reap many rewards. Amazon, Kindle, Facebook, Pinterest and many more have lead the way to a climate where people like doing things with ease, and this climate will only get more and more modern by the day. 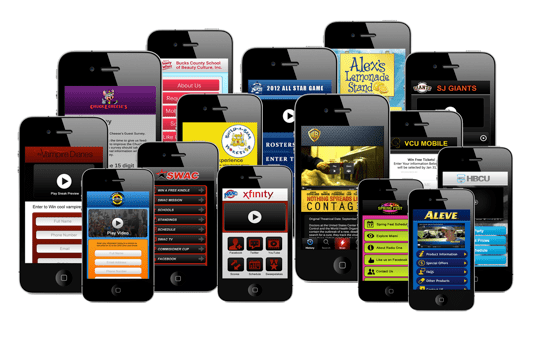 If you hear your name being called, it is; the call to action of getting an app for your business soon.